The winds blew and blew and blew all summer long. We would have a couple days of lull and then blowing, blowing, blowing. Fall has begun and the winds are blowing again. 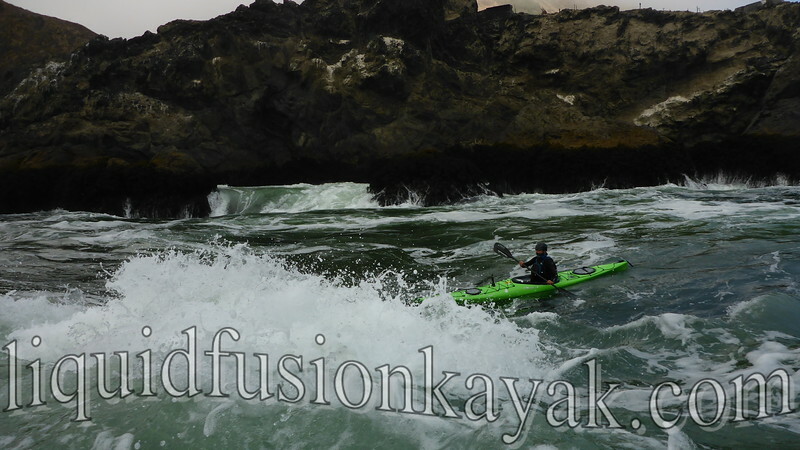 Liquid Fusion Kayaking had another busy summer season. Last week we finally saw a couple of days with no tours or classes and the wind stopped blowing. 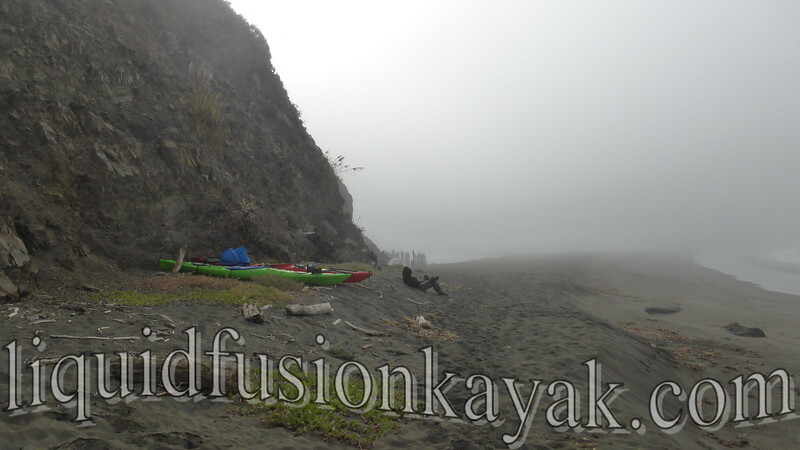 Our end of summer projects - bookkeeping, paperwork, website updates, and house work took a backseat as we seized the opportunity for a sea kayak trip into the Lost Coast. All loaded and preparing to launch through the surf. Photo by Jeff Laxier. Just to the north of the Mendocino Coast is California's Lost Coast. It is a rugged area that is so steep that CA's Highway 1 routes inland for 80 miles. 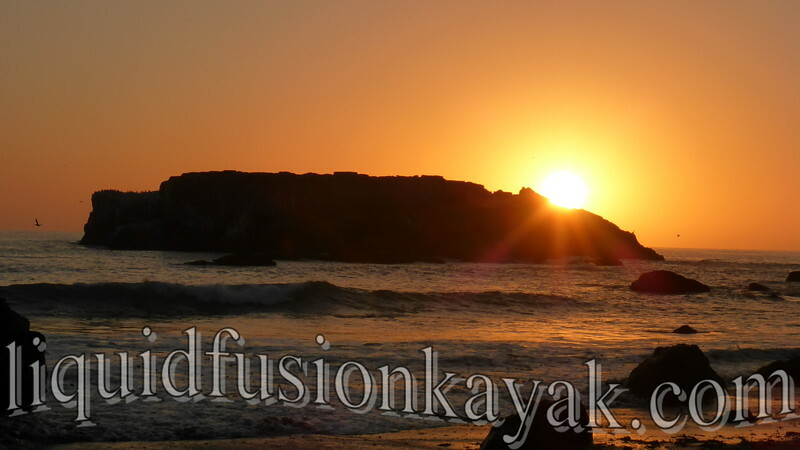 For backpackers and kayakers, it is a popular destination but one that is arduous and challenging. 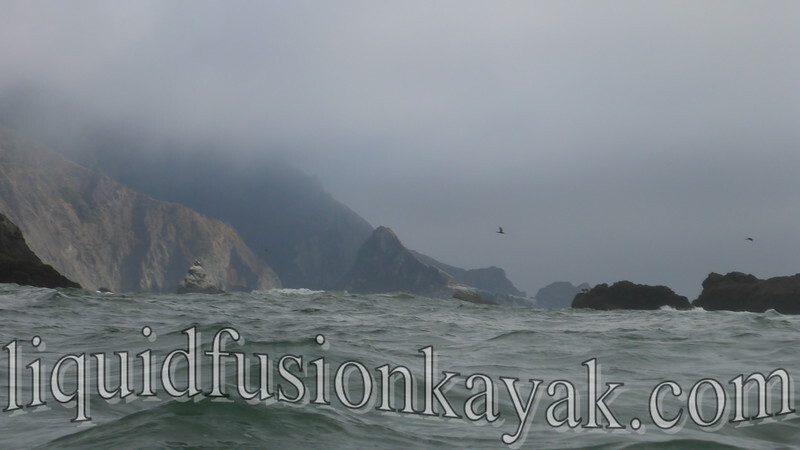 The challenge for sea kayakers is that the Lost Coast is very exposed to wind and swell and also prone to fog. 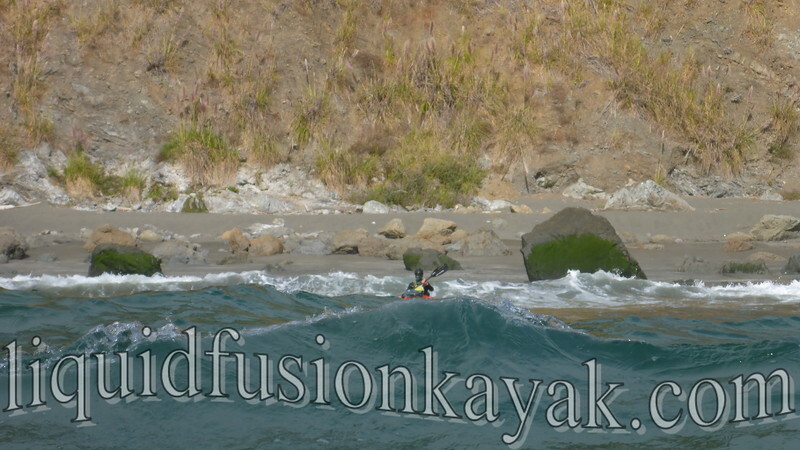 Launching and landing can be challenging as most of the coast is lined with steep cliffs. Most of the potential beaches for landing are steep with dumping waves that can be quite powerful and treacherous - even on days when the swell is small. 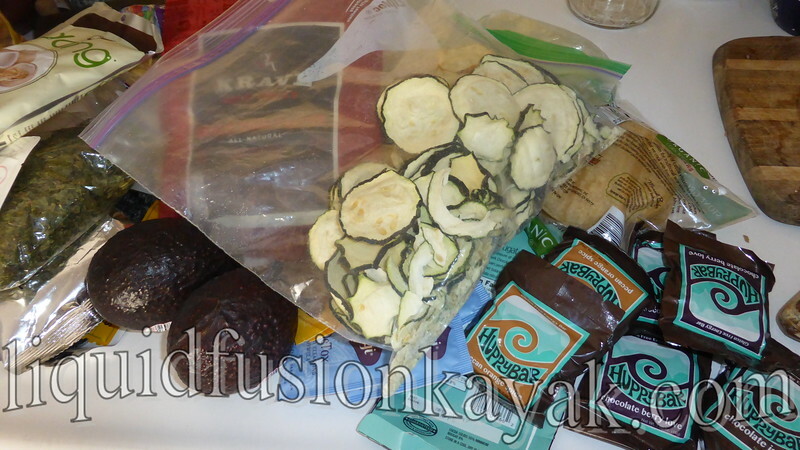 Food preparation was a bit rushed but fortunately I had been dehydrating veggies from our garden all summer for just an occasion. Throw in a few Huppybars and some other goodies and we were set. Even on small swell days, launching and landing on the Lost Coast always involves surf. 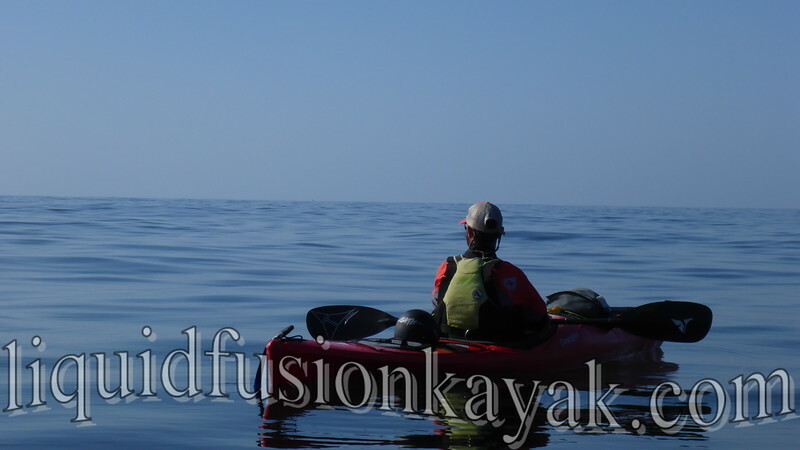 Once we were launched, we were treated to a spectacular paddle with sunny skies and glassy seas. We enjoyed the presence of numerous pelagic birds (murres, murrelets, aukelets, loons, cormorants, and pelicans) and a couple of humpback whales including a juvenile humpy who seemed to circle around us. 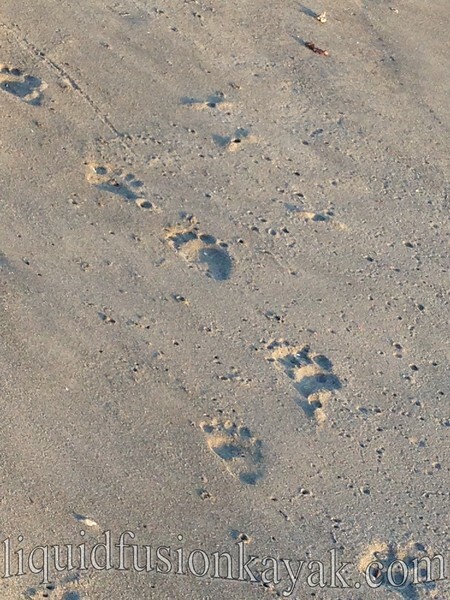 When we landed on our destination beach, we discovered lots of animal tracks including some fresh large bear tracks. YIKES! I am happy to report that we did not have any wildlife issues on our trip. 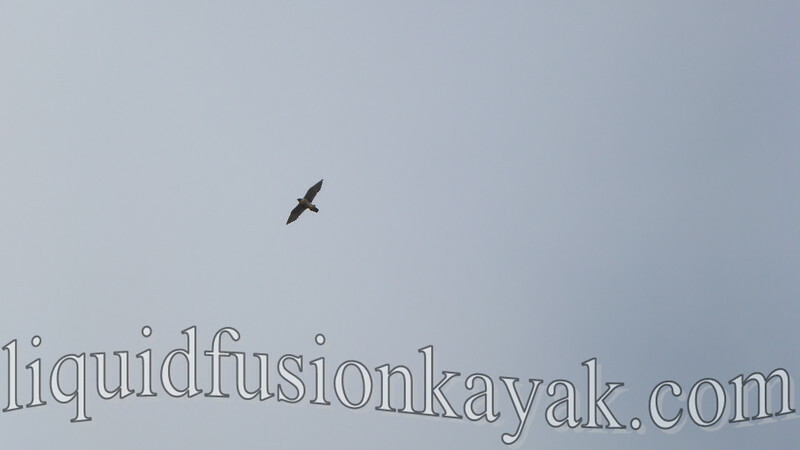 A highlight was the regular appearance of a Peregrine Falcon. The beach where we camped seemed to be in their happy hunting grounds. The weather during our trip was quite varied. Our first day was sunny and warm. We enjoyed a spectacular sunset. 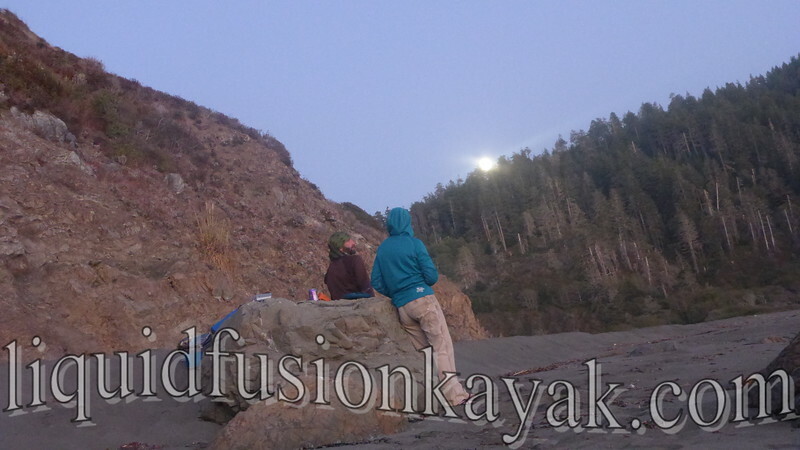 The full moon rising over the ridge was equally spectacular. Day 2, the fog rolled in. At times it was so thick that we couldn't see more than 50 yards. We took this time to catch up on some reading and rest. 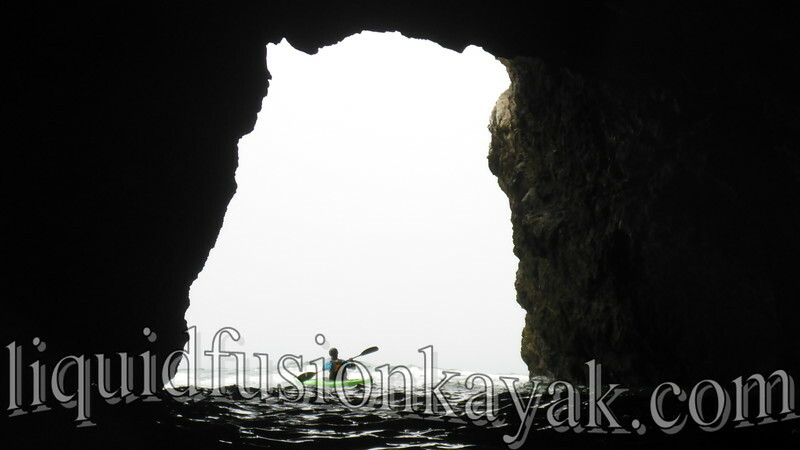 When the fog lifted in the afternoon, we ventured out to paddle and explore. Things were a bit sporty. Day 3 we enjoyed a leisurely morning then packed up and paddled out. 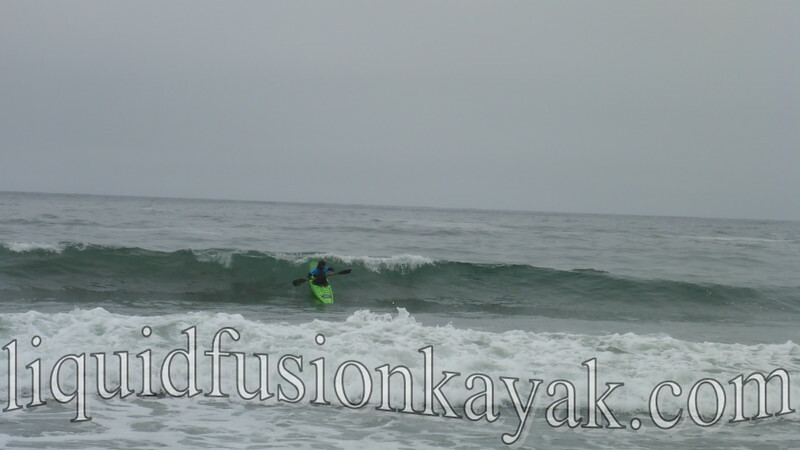 The skies were overcast but the seas were relatively calm. Our loads being a bit lighter, we explored and played a bit on our return paddle. Of course, the sun came out just as we were landing. As soon as we got home, we celebrated our trip at our favorite local watering hole - Piaci. 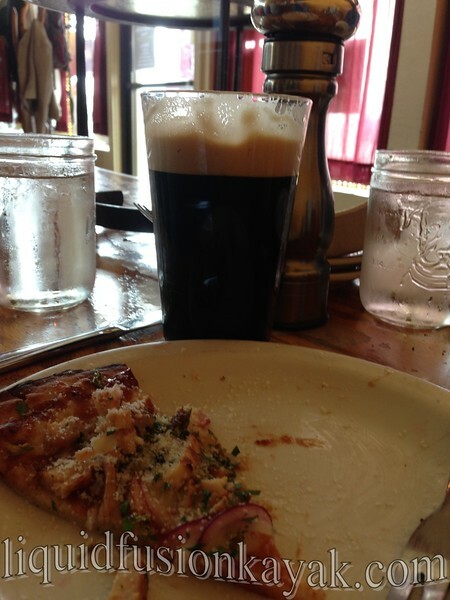 A fresh Old Rasputin and Piaci Pizza was the perfect ending to a great trip. Here is a link to more photos from our trip. 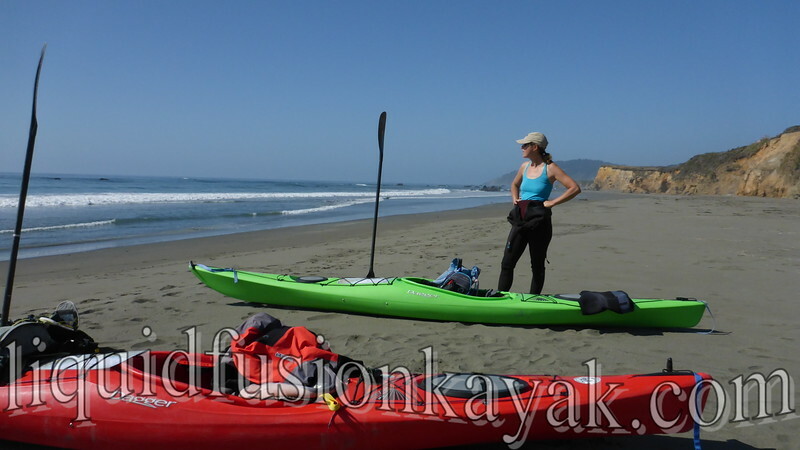 For more tales of paddling California's Lost Coast - join us in November at the American Canoe Association's National Paddlesports Conference in Sausalito, CA.